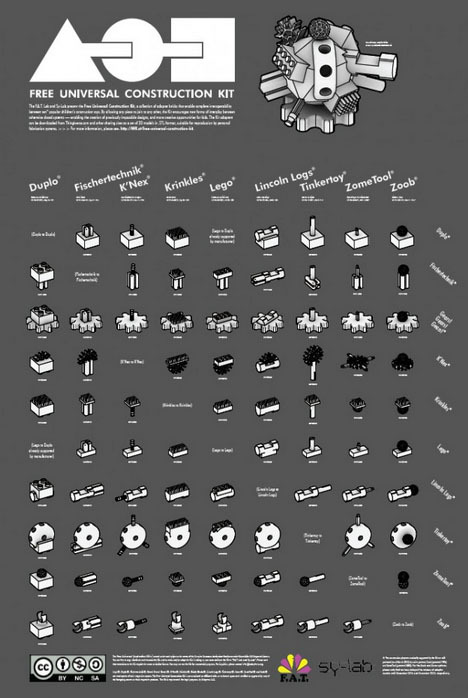 LEGOs, Lincoln Logs, Tinker Toys … what do they have in common? They each represent a universe of constructive possibilities, but each is incompatible with the next, like alien planets with their own unique atmospheres. Until now, that is. 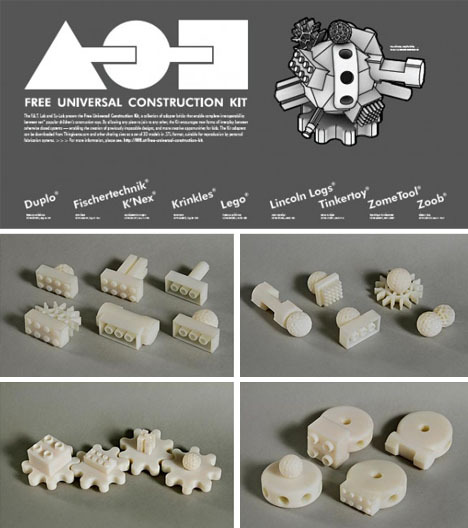 With the advent of 3D printing technology, individuals can now print their own pieces and connect the dots (and logs and bricks) between ten disparate worlds of childhood fun: Lego®, Duplo®, Fischertechnik®, Gears! Gears! 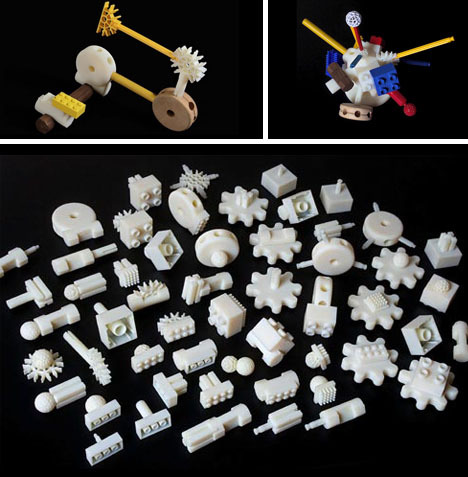 Gears!®, K’Nex®, Krinkles®, Bristle Blocks®, Lincoln Logs®, Tinkertoys®, Zome®, ZomeTool® and Zoob®. Adapters can be downloaded from Thingiverse.com and other sharing sites as a set of 3D models in .STL format, suitable for reproduction by personal manufacturing devices like the Makerbot (an inexpensive, open-source 3D printer).